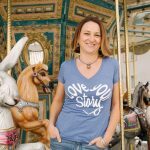 Episode 88 Defining our Personal Values: Do you have Stories? Do you have stories to prove these are your values? When a business defines its values it determines what it wants its governing value system to be. Now, this can be hot air, something that sounds good in a mission statement, or it can be something that the management and employees live by. When we set our own personal value system it’s very similar. Actively choosing the values you wish to create your life around can give you direction, definition, and clarity as you make your day-to-day choices. 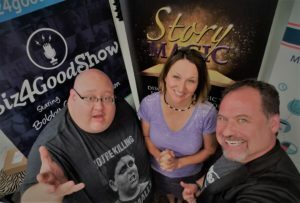 Stay with me today for some thoughts on the process of setting your own personal values that will guide your life story creation and why you want to do it. A new CEO had been appointed who believed strongly in putting the customer first. Right away he implemented the policy of all employees parking at the back of the lot to keep the closer spaces open for customers. Soon thereafter the CEO was out for store visits and arrived at one store just as a torrential downpour was unleashed. The employees watched nervously as he drove around the parking lot waiting to see if he would park at the back of the lot and ruin his expensive suit by running through the rain, or if he’d park up front and call it a special circumstance. A few moments later, they got their answer as the CEO sprinted through 100 yards of pouring rain, completely drenched. His suit was ruined. But, he bought a bargain suit from the store before he started his tour. There was never any question about how employees were expected to act regarding this value. MANAGEMENT MEANT WHAT THEY SAID WHEN THEY SAID THE CUSTOMER COMES FIRST. When we as parents and adults set our own personal value system, and then live according to those specific values, we do what this CEO did – we show our children and the world around us what we are serious about. The values we live by, and the values we expect those under our tutelage to live by. Early in my first marriage we sat down and created a family motto. Things we stood for. Ways of living that were important to us. We made a chart – like a mission statement you might see in a business, and we put it up so we could refer to it often. One of the values I wanted to impart to my children was an appreciation and a love for the outdoors. I wanted to leave a legacy of a love for the land because it was something that had always been important to me. A space where I found peace, beauty, recreation, spiritual connection. I proceeded through their young lives to take them into nature. To teach them to camp and hike, bike and ski, to canoe and pick up trash. This is one of many values we espouse in our family, and we lived it. What have been the values that have been most important to you and the story/life you wanted to create? Do you know them off hand? When I sit down with businesses and we start the discussion of values and value stories, we start exploring how this is actually taking place within the business. If you say that customer service is your priority, do you have any stories that show you and your team giving exceptional customer service? If you don’t, maybe that’s NOT really one of your values. The good news is, even if it’s not currently one, and you want it to be one, you can start today with this value in mind. So, now, let me get to the meat of today’s discussion. What are your personal values? Have you ever taken the time to define 1,2,3, personal values that you want to base your life story around? Another angle could be—what do you want people to say about you at your funeral. Were you the one who was always making others laugh? Always comforting someone? Known for your honesty? Was hard work your mantra? What about joy, integrity, virtue? Today’s discussion is to get you thinking. If you are going to plan your life story on purpose, you’ve got to have guiding principles; values that help you know what you stand for and guide you as you try to live the life you want to create – our children need this clarity from us also. Most of us, I dare say, probably leave it undefined. We’re good people, we’re going to try and live good lives. BUT the power in defining a set of specific personal values comes in handy when tough situations arise. Like the CEO in the rain storm – he knew he wanted to put customer service first, so when it came time to make the decision of where to park, he knew where he stood on the issue. It reminds me of roll playing with my kids before they got put in tough social and peer pressure situations. “If your buddy offers you a beer at a party, what do you do?” The parent has made clear that underage drinking is not acceptable as a family value, then they help their children recognize the situation and learn how to navigate it. The parents often can share stories of the value in action to teach and illustrate. I shared with my kids the stories of watching my high school friends drink, all strung out on the floor at parties and making fools of themselves, and simply deciding one Saturday night that I was tired of being the only person who could carry on an intelligent conversation, stand up, or drive. I was bored to death watching drunk people lay around and throw up. So, I found new friends. It wasn’t easy…it was a big move in high school to change out friend groups almost entirely, but after awhile I had made the transition. Sometimes our stories are warning stories of what not to do as well. Stories of how we did the wrong thing and what we learned from it. 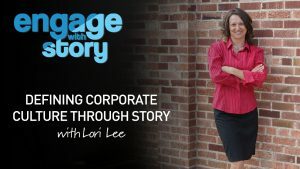 This is the power of story at work. Our stories allow us to illustrate real-life situations. They allow us to warn. They allow us to teach and even take stock of ourselves. When a business defines it’s company values this it is the jumping off point for how they will treat others, how they will treat those inside the company and what they will expect from themselves and those who work with them. If you know your company value is centered on providing the latest technology for your clients – you’ve said it, you’ve put it on paper, you’ve discussed it with your people, you start looking for ways you can make this happen. You go to trade shows and stay on top of the trends, you know where you’re coming from and you’re all about new technology – you dig for it, you’re hungry for it, you market around it, you share it with your customers. It always starts with deciding what you’re about, then developing those ways of being on purpose. And guess what happens? You start to collect stories of you in action doing exactly what you said you would do. Showing what you are about. It works the same way in our personal lives. If one of your personal or family values is honesty, and you can’t think of any times where your honesty really stood out, is that truly one of your values? 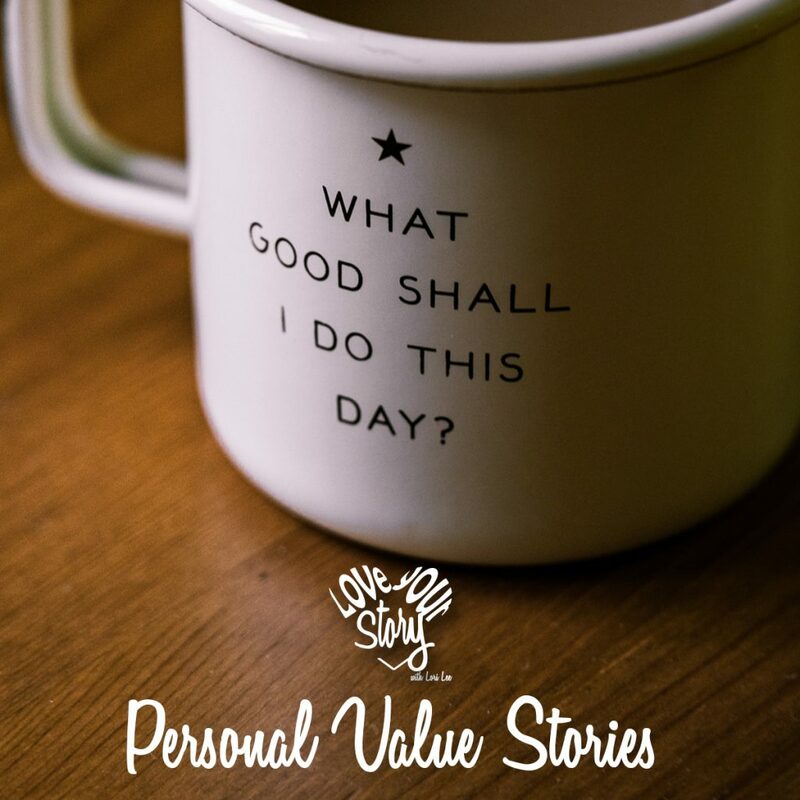 On the other hand, when you start living that value full force, you’ll quickly accumulate stories of honest interactions, even and especially in tough situations, that will illustrate you living up to that value. Then you start collecting your stories. If you determine that IS your family value, then when small and large circumstances come up you know your course of action ahead of time – and so do your kids. Maybe that means you don’t piggyback off someone else’s wi-fi, maybe that means when the grocer forgets to charge you for the cereal that you return and let them know. Maybe when you get in a tiff with a neighbor and you later find out you were in the wrong you fess up and apologize. Maybe it means that you take losses at work in order to be fair with others. Maybe it’s much bigger, but the decision to base your life choices around a certain value help determine your course of action ahead of time. That works for adults as well as kids. I think we, no matter our age, might all just be kids working on hard things at different levels. Ayn Rand said, “Happiness is that state of consciousness which proceeds from the achievement of one’s values.” And isn’t happiness what we’re all trying to create in our stories? I know I am. I also know that when I’m not living up to my values and the things I profess to believe, that those are the times I am definitely the most unhappy because I am at odds with myself. So, one of the reasons to define your values and to collect stories of you living those values, as a parent in particular, is that the stories will allow you to illustrate what those values really mean to you and thus allow you to teach your children through the use of story. Values are subjective. To one person, integrity means doing what his boss or parent or authority figure tells him to do. To someone else, integrity means saying no when it doesn’t feel right, even if it costs you your job or your good standing or your relationship. If you want to encourage a value or teach a value you have to provide a demonstration by telling a story that illustrates in action what that value means, behaviorally, or acting on that value and defining it through the action —which then provides a story, of course. Like the CEO – he SHOWED his employees what it meant to put the customer first. One of the values I felt was important to teach my children was that of service and thinking of others rather than of themselves. This is, of course, an on-going process, but from the time they were quite young, we would embark on service projects. We once created a group called the Secret Service Agents and we’d go out and haul in people’s garbage cans, or rake leaves. That lasted for a few months. Then we’d work at the food pantry filling bags or sorting bins. We’d walk dogs at the dog shelter. We made pillow and blankets for refugees. We collected clothes and toys to send to the Philippines, we made hygiene kits by collecting, buying, and sorting all the needed supplies and putting them together to send through a woman who sent big boxes back to the Philippines each year. We’ve walked around Salt Lake City and given burritos to the homeless – through the Burrito Project. We’ve sent cards to cancer patients through Girls Love Mail. We’ve collected blankets for the homeless, books for charity, donated time to fundraisers for breast cancer and relay for life. We’ve painted garbage cans in Yosemite and helped with Eagle Scout projects. Do my children know how to do service? I hope so. Do we have stories? We’ve got a few, but mostly I have a list, the one I just read off, that makes me feel like I did okay as a mom helping my kids learn, through action, to think outside their own needs. Did I show my kids I was serious about service? Every time I proposed another service project, they knew we were about doing good in the world. It was a value I put into action. Define the top 3 values you want your story to include. Three things that you want to be known for. Three things you want to pass on to your children or grandchildren. Three things you would be proud to live by. Go ahead. Pause the podcast and figure out what those 3 things are. Now – note, you can of course choose as many values as you like, but if you choose too many you’ll get discouraged. Maybe 3 is even too many. You decide, but having one or two things to really do a stellar job at, might be the key to the most success. Write them down. Put them on paper so you don’t forget. Reread them, share them, hold yourself accountable. Maybe that’s personal. Maybe it’s with your family. If it is with your family and everyone is going to get involved, you can all work to hold one another accountable as you share the successes. Start to live them with focus and fervor. 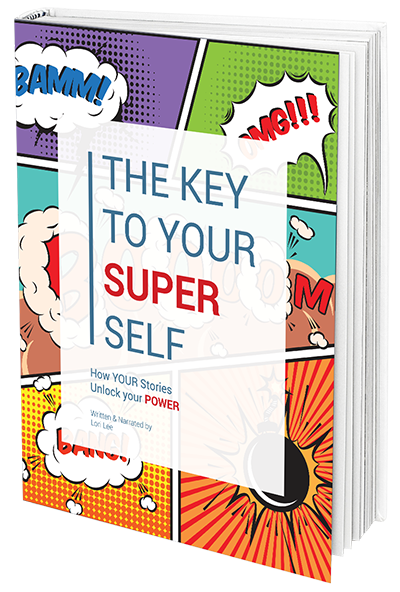 Start to collect the stories that show you in action. Celebrate all the wins! Celebrate every value story. Keep on keepin on! These are a way of life – the way of life YOU chose. So, in closing. This week your challenge is to follow these first 3 steps – decide on your values, write them down, start to live them ….this will help you to start collecting your value stories. Have fun out there creating the life story you want. Don’t forget to share this podcast with someone you know who could use a little empowerment today. Share the love people. 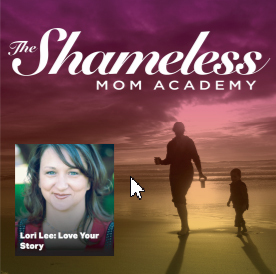 Also, go to the website: www.loveyourstorypodcast.com and sign up for the 21-Day Challenge to create more love, connection, and possibility in your story over the next 3 weeks. See you next week.